Columbia Asia is a US-based international healthcare provider, with 28 healthcare facilities is operations in the region. Columbia Asia is the future of healthcare. Columbia Asia hospitals are clean, efficient, affordable and accessible. The innovation design of Columbia Asia hospitals, from their manageable size to their advanced technology, is focused in creating the most positive experience for patients. We are committed to remain the preferred choice for insurance companies, corporate and families. 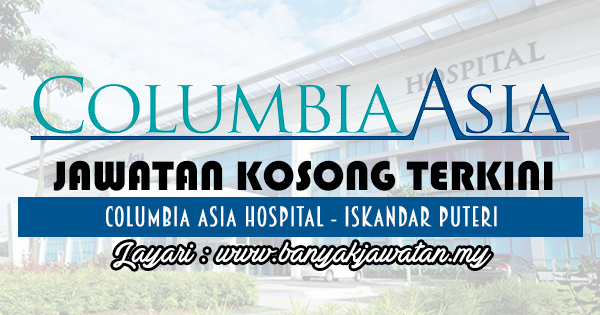 0 Response to "Jawatan Kosong di Columbia Asia Hospital - Iskandar Puteri - 10 March 2018"